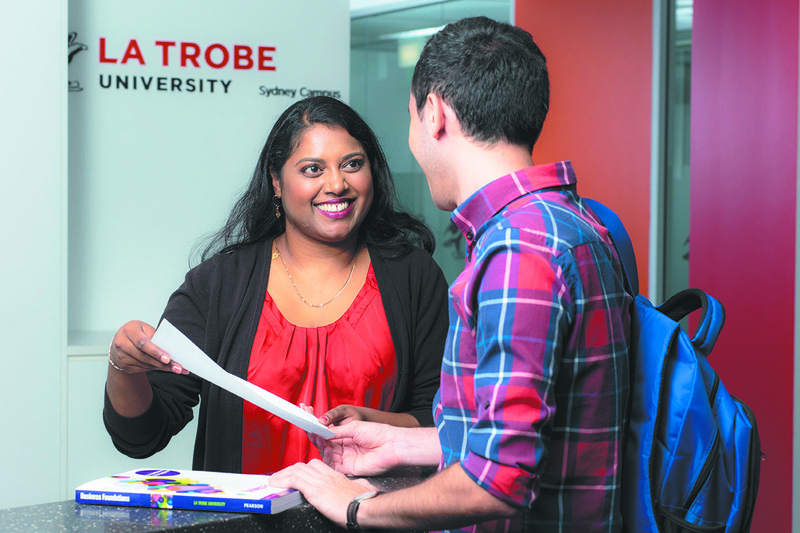 La Trobe University’s Sydney Campus has been creating successful graduates since 2001. With over 600 students, from more than 22 different countries, La Trobe University Sydney Campus provides students with personalised learning in a corporate setting. Located in Sydney’s world-renown central business district, La Trobe offers students close proximity to internship and work opportunities, meaning better academic outcomes and greater job prospects post-study. We provide foundation, diploma, bachelor and masters courses in the fields of business, accounting and information technology. Among the top 400 universities in the world (Times Higher Education 2015). QS 5 stars world university ranking by subject 2015 for communication and media studies (9th nationally), accounting, finance and law (world’s top 200) and computer science and information systems (world’s top 400). Ranked among the world’s top 100 elite institutions in more than a third of the areas assessed (QS World University Rankings by Subject 2014). Ranked amongst the world’s best modern universities under the age of 50 (THE, The 100 Under 50 Universities, 2015). This is a pathway to a Diploma or Bachelor programs for international students.